TemboSocial Recognition for the Microsoft Enterprise Suite. 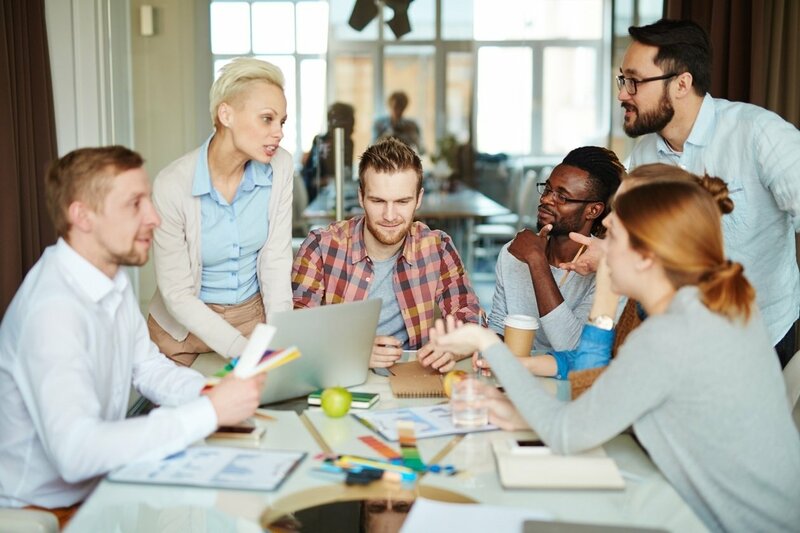 Make your Intranet an engagement hub that brings employees together and highlights the behaviors that drive business success. 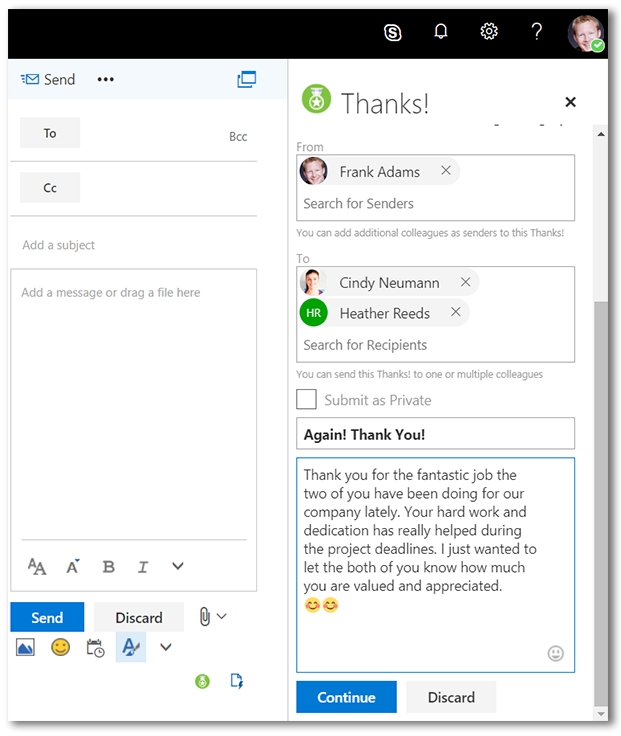 Deep integration with the Microsoft Enterprise Suite means that employee appreciation spans across SharePoint, Yammer, Azure, Teams and Outlook. 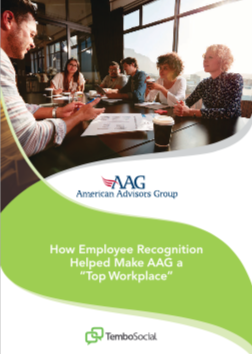 Case Study: How Employee Recognition Helped Make American Advisors Group a "Top Workplace"
TemboSocial Recognition is an Add-in for the Microsoft Enterprise Suite that is deeply integrated with all aspects of the platform. Give employees an easy and rewarding way to congratulate co-workers for a job well done, strengthen company culture by using storytelling to bring corporate values to life, and make managers better managers by keeping them updated on the accomplishments of their staff. 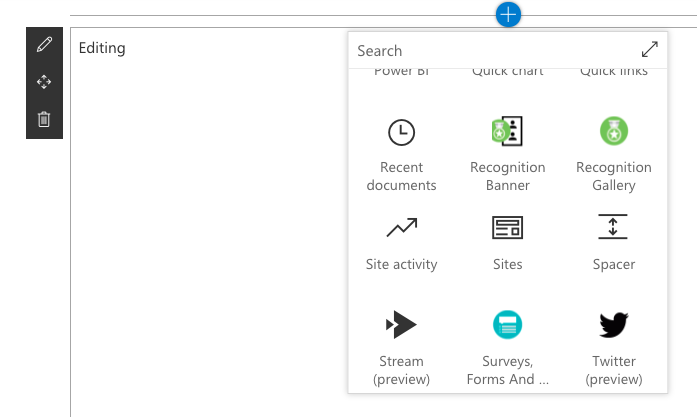 The deep integration with SharePoint makes it easy for employees to send and receive recognition wherever they are working in SharePoint - on desktop, or mobile. Your employees can catch their colleagues in the act of a job well anytime, anywhere! TemboSocial Recognition builds a public archive of positive and repeatable behaviors, transforming recognition into a real business asset and infusing SharePoint with frequent stories of success and achievement. Realize a unique strategic and competitive advantage driven by your culture, your people, and their stories. 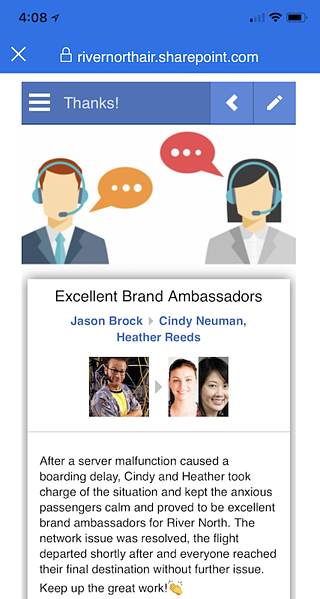 TemboSocial Recognition for Outlook ensures that you are able to reach employees where ever they work. 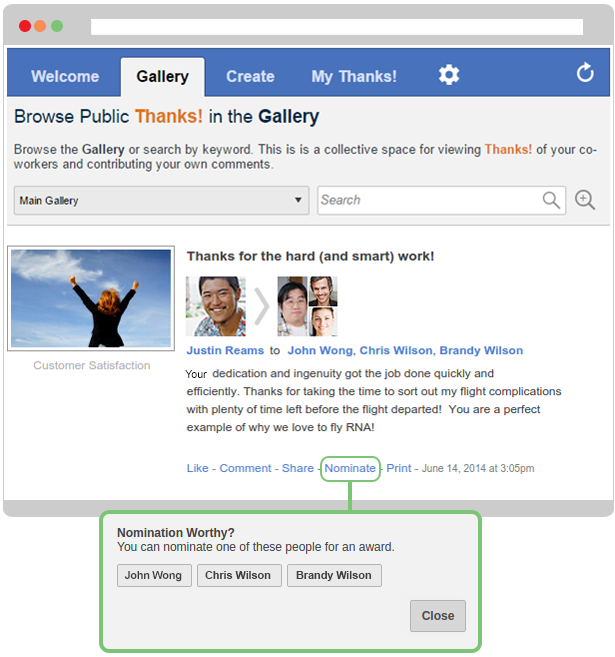 Available for both the Online and Desktop client, employees can share appreciation directly from the in-box. 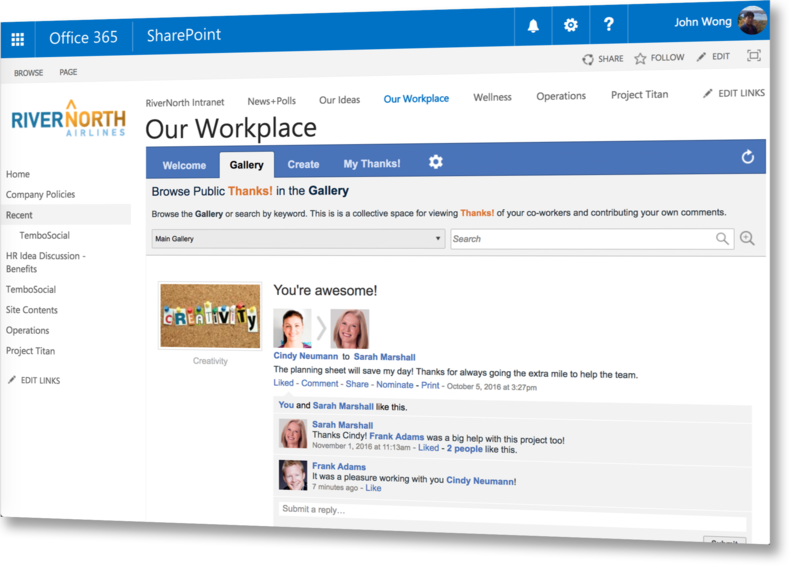 Content syndication to SharePoint, Banner Feeds, Yammer and Teams ensures that recognition submitted via Outlook is amplified throughout the enterprise. Think about how many awards programs exist within your company: service awards, sales champion awards, quarterly awards, annual gala CEO awards, learning and development certification, etc. Despite the investment in these culture-shaping programs, there is rarely a way for any employee to easily display their accomplishments. TemboSocial Recognition is designed to amplify the frequency and reach of recognition in your company by being the Social Trophy Case for all your corporate awards programs. When employees can easily see all their accomplishments, they are more likely to feel that they are making progress in their career, and more likely to stay. 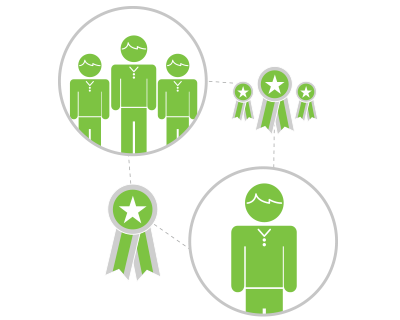 The Awards and Nominations module makes the entire process of managing your awards and nominations easier, more efficient and more enjoyable for participants, reviewers and administrators. Allow any page owner to add TemboSocial Recognition to their page, making it easy to read and share stories across SharePoint. 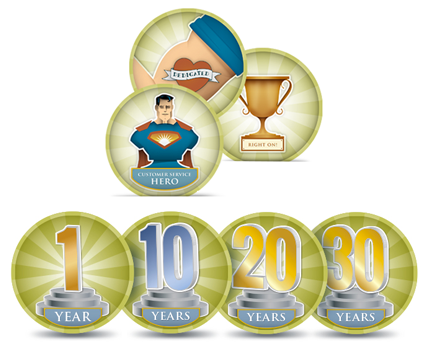 Recognition is built for Microsoft SharePoint 2013, 2016, 2019 and SharePoint Online. Leverage the syndication features of all your communications and social channels; TemboSocial can post recognition directly to other content streams. 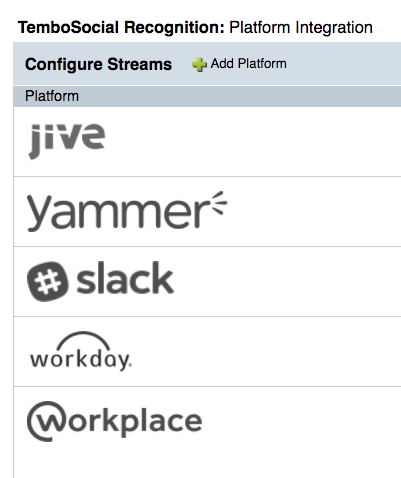 Using the Rule Builder, you can curate who will see what recognition based on any available profile field. For example, you may choose to have all recognition by and about people in marketing be posted to the Yammer stream for Marketing and all recognition related to Customer Success be posted to the CSR Teams stream. Learn how a peer recognition program inside SharePoint or Office365 can boost employee performance and motivation.